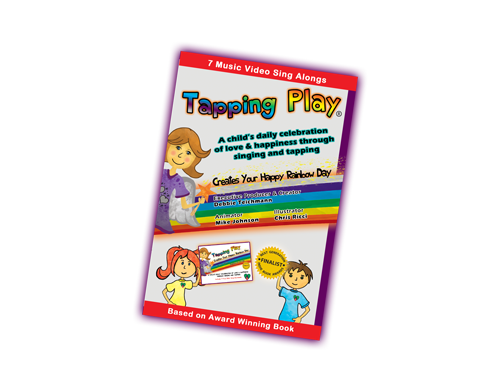 In our interactive, animated DVD, Tapping Play comes alive! 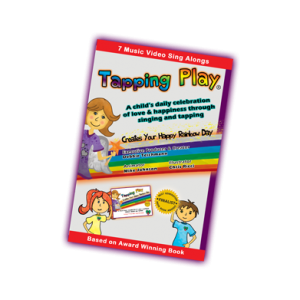 Annabelle, your free-spirited tapping guide, introduces your child to Tapping Play, and eachday, magically leads you and your child through the Happy Rainbow song of the day; while Franny and Billy joyfully show your child the corresponding colorcoded tapping points and song words. Annabelle, Billy & Franny come alive in our lively and upbeat animated DVD. This delightful and happy animation is the creative work of Oscar-Nominated Mike Johnson. Put on your dancing shoes and join us as we tap, sing and dance to our daily Rainbow Day song!